Tea tree, also known as melaleuca, is well-known for its powerful antiseptic properties and ability to treat wounds. A popular choice for natural skin care brands both for it’s fragrant properties and active ingredients, it’s used in creams, lotions, shampoos, face washes, spa treatments and holistic therapies. This volatile essential oil is anti-inflammatory and has the ability to kill many strains of bacteria, viruses and fungi, of which the findings have been documented for almost a century. Using essential oils to replace or enhance certain toiletries and household cleaning products is both effective and therapeutic. Here are our top 4 ways to incorporate tea tree essential oil into our lives. We have to say, they are quite brilliant. Tea tree oil can be used as a preventative measure, but more impressively as a cure when it comes to those dreaded pimples. It serves as a natural alternative for over the counter products, and possesses unique disinfecting and soothing properties which won’t strip the skin of it’s natural oils. 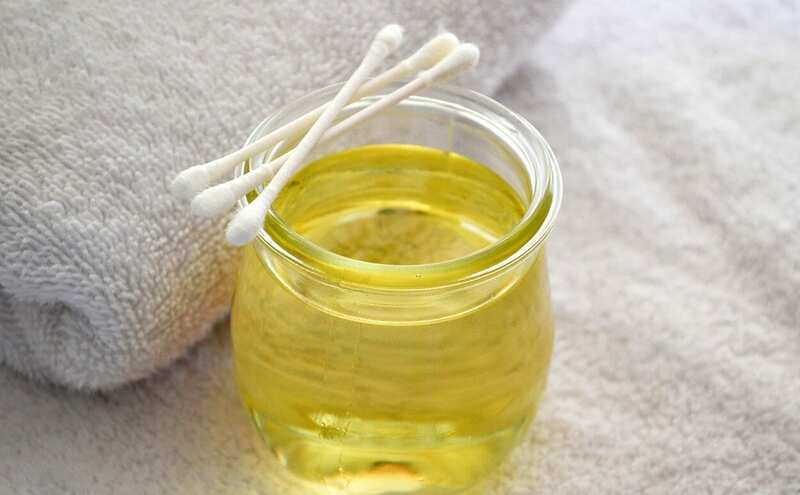 For a quick spot-reduction, pour a few drops onto a cotton bud or pad, and dab the affected area. Don’t rinse for at least a few hours, ideally leave overnight. 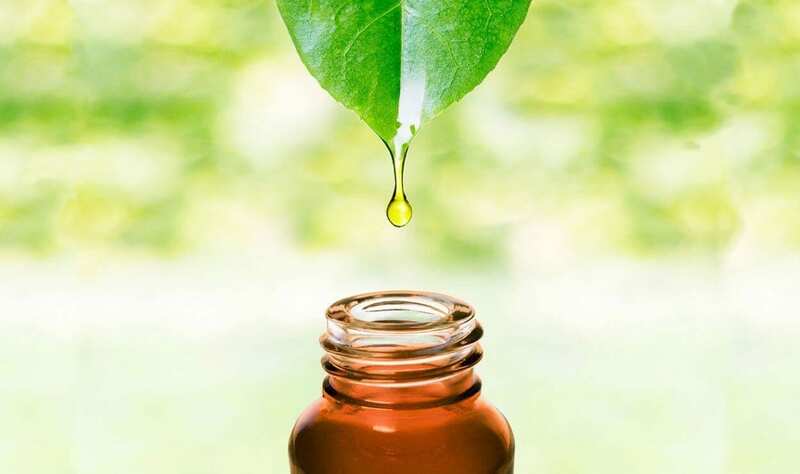 The oil should easily penetrate into the sebaceous glands and unblock them, wiping out infection-causing bacteria and reducing redness and swelling. Add a few drops to a face mask, preferably clay, and slather it on. Ideally leave it for 20 minutes before rinsing. Pat face dry with a clean towel and apply a moisturiser. Make sure you’re moisturising with a cream containing mostly naturally-derived ingredients, preferably designed for sensitive or acne-prone skin. Keep things fresh and sanitary by adding a few drops to each laundry load. Preferably use an unscented detergent and no fabric softener. It’s good for both your laundry and your machine! Say goodbye to that strong chemical odour of most detergents, and hello to the tinge of all-natural cleanliness. Note how once you start using this method, your clothes, sheets and towels stay fresher for longer. Extra tip: Stay low-key on the detergent use and put your towels through a baking soda and white vinegar cycle once a month. The vinegar and baking soda work to remove detergent, microbe and odour build-up, improving fibre absorbency. The result is spa-quality fluffy towels that smell as fresh as a spring field! 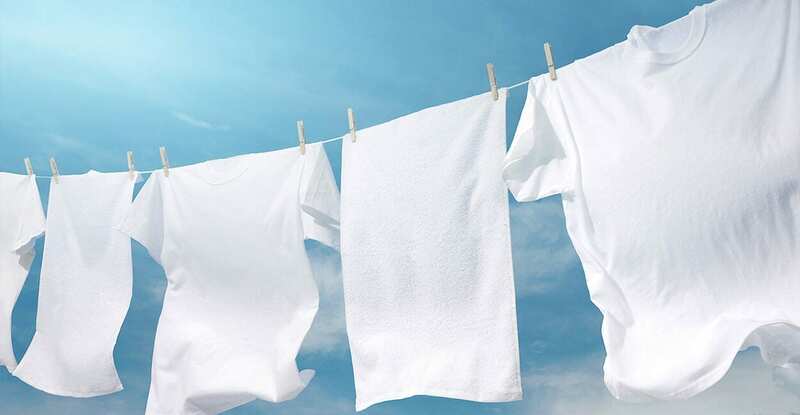 Simply add one cup of white vinegar to the load and run the wash through a hot cycle. When the cycle’s done, add half a cup of baking soda and run the hot cycle again. Preferably dry in a tumble dryer to fluff up the fibres. 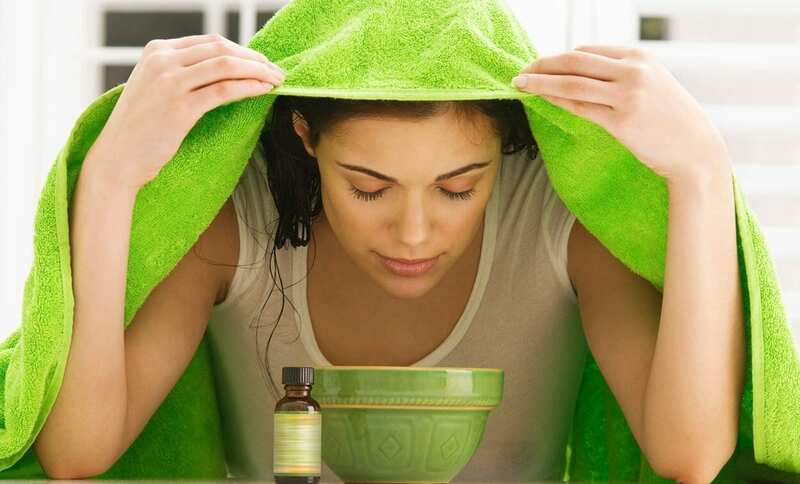 If you’re blocked up from a common cold, tea tree can be a great relief treatment! The antiseptic properties work to help fight the microbes whilst the anti-inflammatory qualities help reduce swelling of the membranes lining the respiratory passages. If you have a vaporiser or oil burner, you can let it evaporate throughout the day, especially useful at night. Mix tea tree with lavender for a relaxing effect at night time. Boil the kettle and pour yourself a hot mug of plain water. Place a few drops of tea tree essential oil into the mug and take deep, long breaths holding it up to your face. Steam works wonders to clear the sinuses, and is an age-old yet effective method of reducing mucus build-up. Mixing steam with essential oils, too? Now that’s what I call a remedy. (A hot bath with tea tree oil is another way of getting that steam to relax the passages.) Eucalyptus essential oil is another great alternative. Place a few drops on your clothing, pillow case or a cloth and inhale it throughout the day. Reapply as often as required. Most carpet cleaning products (or any cleaning products) that you’d find available at the supermarket contain harmful ingredients that you wouldn’t want a baby crawling over, or a pet laying on. As for the adults, it’s just better to fill your living space with natural alternatives rather than harsh chemicals. This cleaning method is not only cheaper and healthier, it actually keeps things fresher for longer without leaving that lingering synthetic fragrance we usually find after a deep cleaning. A homemade pet-safe and child-friendly cleaning agent can easily be concocted with an essential oil of your choice (or mixture) and some baking soda. Use this mixture to help rid your living space of dust mites, creepy-crawly’s, bacteria, mould spores and odour. Note: This is a very effective method of deep cleaning carpets, and needn’t be done more than once every 1 – 2 months. If you own pets, this is a great way of keeping the odour and microbes away from your upholstery, however, keep them out of the house or confined to one room whilst you’re letting the powder sit. Bare in mind the powder does make your vacuum work harder, so don’t go overboard and maintain your machine as the instructions suggest. Add the desired amount of essential oil into a container of baking soda and shake well. When ready to clean, trot around the house peppering all carpeted areas with your mixture and let it sit for at least 15 minutes before vacuuming. Reach for nature’s greatest gift with our internationally accredited Aromatherapy Course spanning 12 lessons of self-study or with tutored guidance. Discover the properties of essential oils and their contra-indications. Learn how to use them in a treatment session with massage techniques. Benefit from therapeutic oil recipes and learn the dilution process. Find out how aromatherapy affects us physically and mentally, and how you can implement this information practically to help others. Here at The School of Natural Health Sciences we pride ourselves in providing quality holistic education that’s easily accessible to willing learners. Our courses carry internationally-recognised diplomas that entitle you to practice as a therapist anywhere in the world. Imagine no stress, no commute, no deadlines, no fuss and great value for money! Affordable, holistic education right at your fingertips. Enrol with us today and benefit from our celebratory special offer and discover what type of future you could create for yourself.